Over the past 10 years, Elyse Saugstad has been one of the most influential skiers in the sport. In 2008 she won three out of four Freeride World Tour stops and was the overall champion. In 2013, she won Best Female Performance at the 2013 Powder Awards. She continues to produce On this episode of the "Sponsored" podcast, hosted by Mike Powell, Saugstad shares her inspiring story. Saugstad grew up as a downhill racer in Alaska, which she credits with developing her ski style. "You start to get used to that speed and the fear that can come along with downhill," she says, "and I think then that that just naturally transitioned into how I freeride." After moving to Squaw, Saugstad ditched law school plans. "I moved specifically to Squaw because it has the best skiing and the best skiers and I can afford a pass there now, so that's where I'm going to go. There are so many good pros around and you start to realize, 'Hey, maybe my skiing is at the same level as these guys. Maybe I can give this a go. One thing led to another and the next thing you know I'm a pro skier and I'm not going to law school anymore." 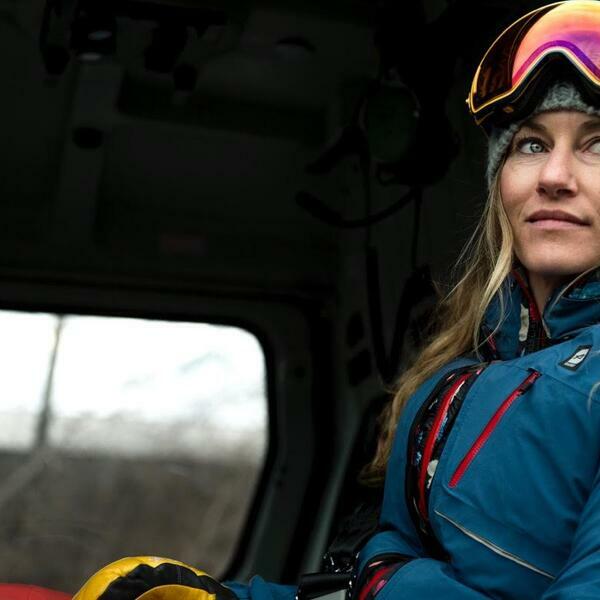 Ever tough, smart, and passionate, Saugstad is also outspoken about creating more opportunities for female skiers. She discusses women's issues in skiing as well as setbacks she experienced for being an advocate. "Being a squeaky wheel definitely hurt with a big sponsor in particular," she says. "Like, 'hey, let's do more women's stuff, hey let's pay attention to women. Check out this market. And I'd write letters to the sponsor, and give statistics of why the women's market is important to pay attention to, and eventually, I just got downgraded in my status and then eventually cut." Saugstad goes into detail on the the growing women's market and what needs to happen for its continued growth. "The more visibility there is on women," she says, "the more we're going to see women doing really cool things."